Back in 1918 as the First World War was entering its final stages, a deadly pandemic now known as the ‘Spanish Flu’ spread around the world and killed an estimated 50 million people. Thought to have originated in Spain, it spread with remarkable speed, striking in three almost simultaneous waves in various parts of the world from July 1917 to around March of 1919 when it suddenly stopped and abruptly vanished. In Ireland, it is estimated to have killed about 21,000 people though figures are not precise due to the prevalence of tuberculosis (TB) and other diseases at the time. 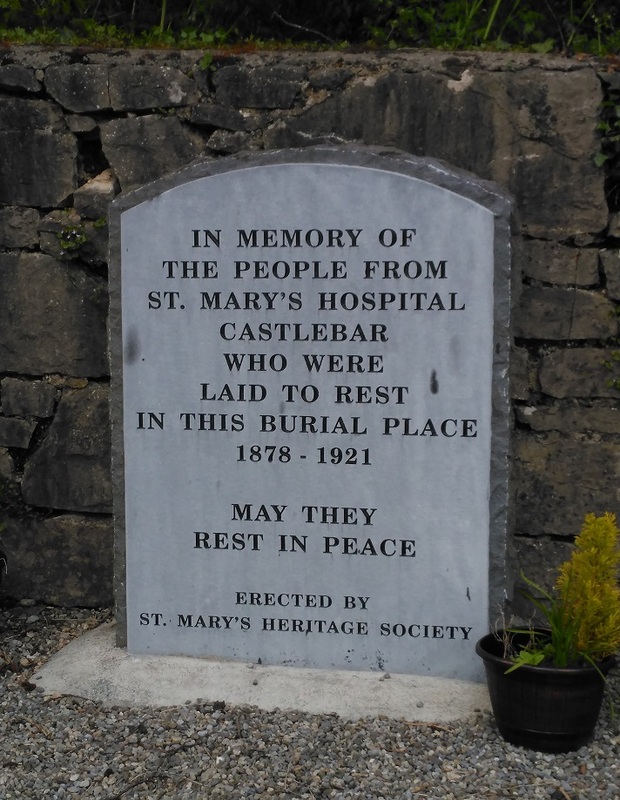 In Castlebar, the flu, locally referred to as the ‘Epidemic’ struck the town most severely in November 1918. All the schools were shut and didn’t reopen until March of the following year. All sporting occasions and public institutions/committees were cancelled as a quorum could not be met and the townsfolk were advised to stay indoors if possible to avoid spreading the flu. Castlebar Bacon Factory, which only opened the previous year, was forced to shut for a period as nearly all the staff were off sick. Rumours abounded as to the epidemics origin with allegations that the banks were spreading soiled banknotes and that it had something to do with the wartime shortage of alcohol. People were also wary of returning soldiers from the War with tales of poisonous gas attacks. In the first week of December 1918, thirty-six deaths were noted in the town including three brothers from Boradruma who died in Philadelphia from the flu. The most high-profile Mayo casualty was Olympic medallist Martin Sheridan from Bohola who died in New York. Restrictions were placed on the movements of people visiting public health institutions which seems to have reduced the amount of fatalities. There were only a few deaths in the Infirmary (where Mayo County Council HQ is today) on the Green and in the Workhouse (now Sacred Heart Hospital) twelve deaths were recorded. This was regarded as low because Ballinrobe and Claremorris Workhouses had previously been taken over for military purposes and their patients transferred to Castlebar Workhouse which was overcrowded. The military in the town supplied a motor ambulance to ferry patients and to minimise the spread of disease. The Asylum (St. Mary’s Hospital) on the Westport Road suffered badly; over two hundred patients were affected and it is estimated that at least fifty of them died. At one stage, at least three quarters of the staff were off sick, leaving the remaining staff to care for over eight hundred patients. Indeed, the flu claimed the lives of three female attendants. When the epidemic passed in 1919, special bonuses were granted to the staff members who had worked tirelessly to care for the patients. Normally during an epidemic of this sort, infants and the elderly are usually the first to fall victim but whilst it did affect those categories, the strange thing was that young people aged between twenty-five and thirty-five were the worst affected. This meant that the ‘breadwinners’ of many families were hit with disastrous results. Canon Fallon, the newly appointed Parish Priest of Castlebar set up a special fund with the local Urban District Council and sent food parcels to affected families all over the town. Then, in March 1919 the flu suddenly abated, schools reopened, people got on with their lives and nothing much was heard again about the ‘Great Flu of 1918’. 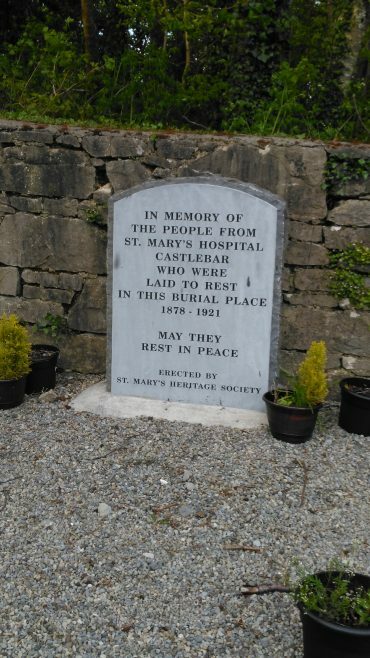 In 2004, the staff of St. Mary’s Hospital erected a memorial garden on the site of the old Asylum Graveyard, across from the present Fire Station. This is the principal memorial in the town to victims of the Great Flu of 1918 which reached its height one hundred years ago.